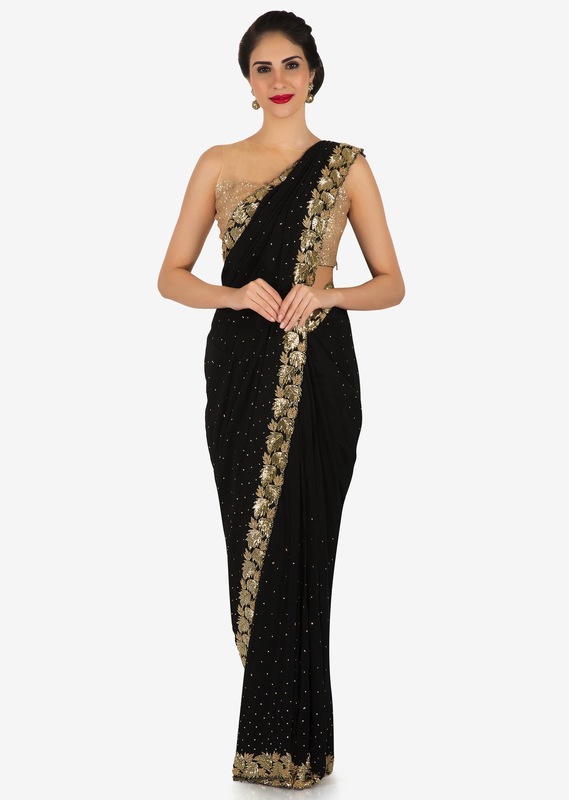 Zed black saree featuring in chiffon with sequin butti all over. 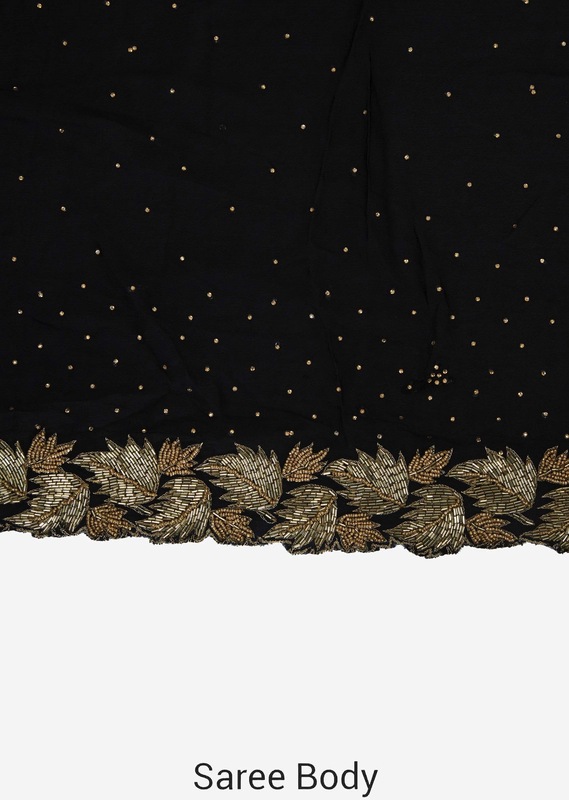 Matched with cut dana and moti embroidered butti. 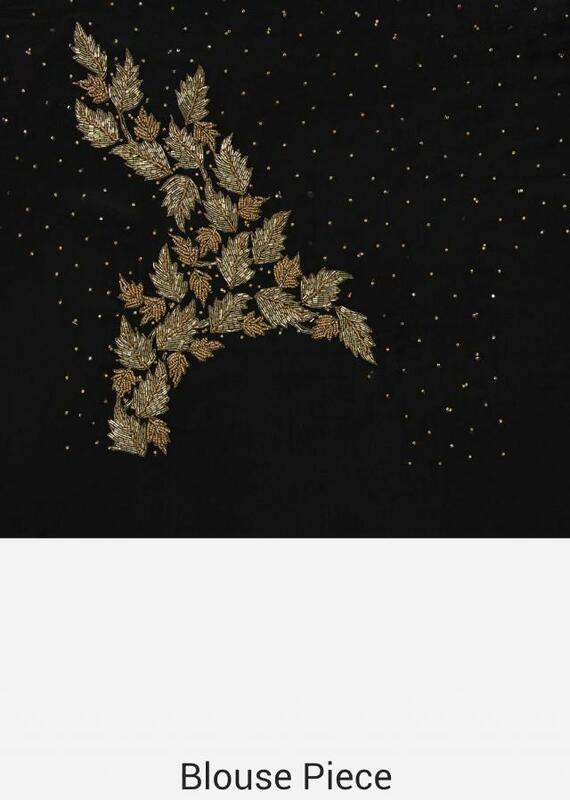 Matched with unstitched blouse in black chiffon.